Rule 1 of magic is: The framework for any communication is determined by the expectations and associations you trigger . Rule 4 is: The brain filters out most of the information it receives . The greatest magicians in the world and their acts stick religiously to 20 rules which have nothing to do with how magic works, but instead why it works. Presentation Magic! takes the psychological principles used by the world s best magicians and applies them to business communication. The three classic stages essential to effective communication are: Construction, Preparation, and Delivery. In each case, communication expert and magician Nick Fitzherbert shows you how to apply techniques for directing attention, persuading and convincing drawn from the Rules of Magic. In doing so, you build in an extra edge in your presentation, which will ensure attention and impact. 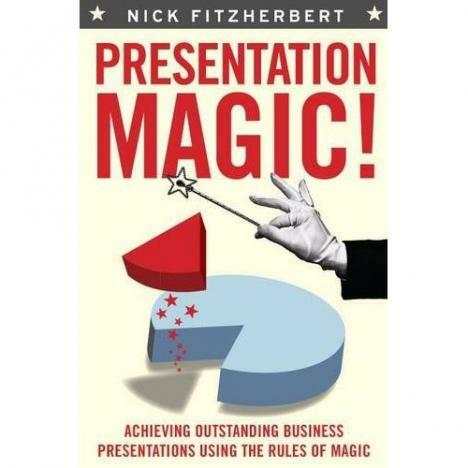 If you are interested in learning more about presentations, you can borrow Presentation Magic! by Nick Fitzherbert from the library. You can also search our online catalogue for more books on this subject, including ebooks.